Through its measurements of Planck’s constant, a quantity at the heart of quantum physics, the Kibble balance is contributing to an international effort to redefine all base measurement units in terms of fundamental constants of nature. The NIST research programs work at the frontiers of measurement science to ensure that the U.S. system of measurements is firmly grounded in sound scientific and technical principles. Today, the NIST laboratories address increasingly complex measurement challenges, ranging from the very small (nanoscale devices for advanced computing) to the very large (vehicles and buildings), and from the physical (resilient infrastructure) to the virtual (cybersecurity and data science). As new technologies develop and evolve, NIST’s measurement research and services remain central to national defense, homeland security, trade and innovation. 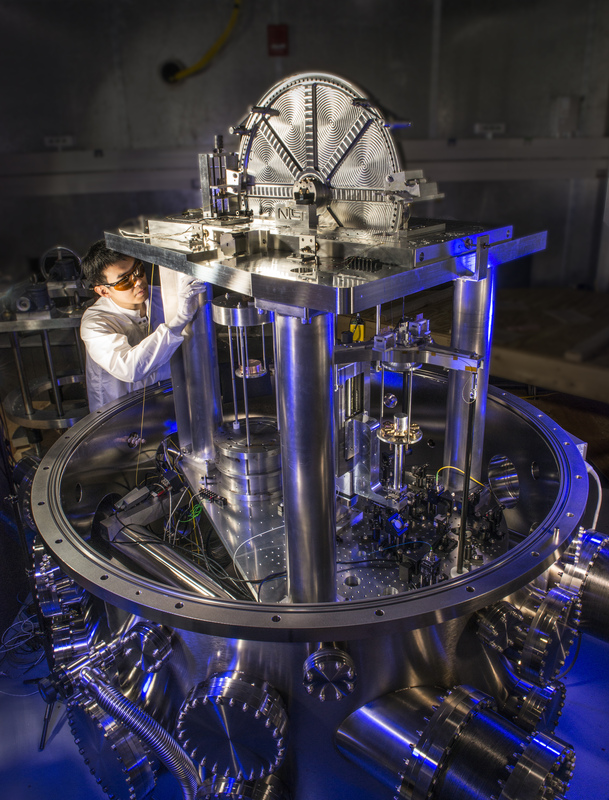 NIST’s Scientific and Technical Research and Services (STRS) activities provide industry, academia and other federal agencies with world-class research capabilities in measurement science that form the foundation of the global system of weights and measures and enable innovation. They supply basic and applied measurements, calibrations and standards that impact every aspect of our economy and lives, from the accuracy of airplane altimeters to the reliability of clinical measurements and the strength of the encryption technologies that protect our digital lives and businesses. They lend unbiased technical support to the development of open, industry-led and consensus-based documentary standards and specifications driving the deployment of advanced technologies and facilitating global commerce. NIST offers unique, cutting-edge user facilities helping more than 3,000 scientists from academia and industry annually advance the state of the art in nanotechnology, bioscience, advanced materials and other emerging technology areas yearly. Since its founding more than a century ago, NIST has sought to solve the most pressing measurement and technical challenges the nation has faced. From helping to standardize methods and materials for mass production techniques introduced during World War I to studying the collapse of the World Trade Center buildings on 9/11, NIST has sought to advance U.S. industry and security through measurement science and standards. NIST continues providing measurement tools and standards, strengthening U.S. competitiveness and security in areas affecting Americans’ daily lives. The STRS account contains three line items: Laboratory Programs, Corporate Services and Standards Coordination and Special Programs. To add more transparency beyond the STRS budget line item level, NIST is providing budget information by mission space.